We're Mega Crit Games, creators of Slay the Spire. Ask Us Anything! 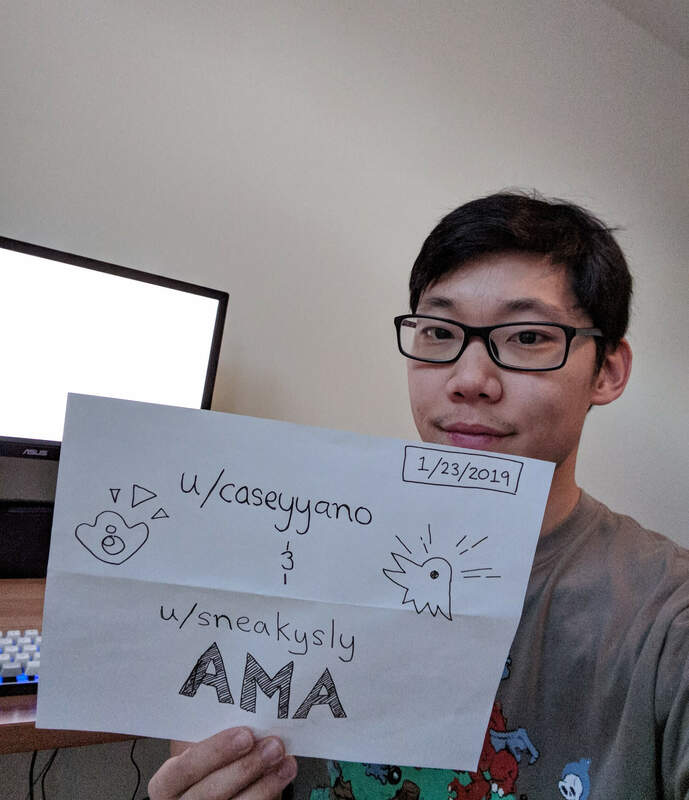 This is Casey Yano (/u/caseyyano) and Anthony Giovannetti (/u/sneakysly) of Mega Crit Games. We come from the mystical, enigmatic kingdom of... Seattle, WA. Around 3 years ago we quit our jobs and started working on a game called Slay the Spire. The game was released on Steam Early Access on November 2017 and it's now fully released today! Oh, we also have a subreddit (https://www.reddit.com/r/slaythespire/) and a Discord (https://discord.gg/slaythespire). We're answering questions. Ask Us Anything! EDIT: Well, we tried our best to answer as many questions as we can- we're actually available all the time at our Discord channel (and even the subreddit!) It was great fun to revisit our processes and past development. Maybe we'll do it again when we release more stuff; but for now- MEGA CRIT OUT. Do you think Northernlion’s long running series on StS has made any impact on its success? You guys should send him a fruit basket or something. I bought a dozen eggs at the grocery today. What thing turned out the most different from how you would have expected it to go at the start of the project? Oh man, I'd say... the first few weeks of Early Access release was not like we expected at all. The game wasn't selling well, nobody knew about us, we didn't have any internal connections, and we were reading a lot of blogs and postmortems about marketing and I felt that none of those really helped us. Then the handful of streamers that we reached out to before release slowly had a chain reaction of letting their other streamer friends know and the game got really really big 2 months after release. Based on all of the data out there, this was extremely unusual and the amount of support we got was crazy! We hopped in to a ton of streams to just thank the people who streamed us back then! Chatting with the folks in our Discord that got bigger and bigger was surreal. If you could be friends with one of the bosses in real life, who would you choose? How do you guys manage to put out weekly updates with such a small team? Keep the announcement straightforward and follow a template that works for you. Creating and deploying game builds should be automated. At the start of each week (or earlier) decide what will be the highlight of the next week's patch. You underestimate how retro active you are with the community. Gamers nowadays are not used to that, with those games being pumped from these big corporations. I've seen well thought and well explained threads on here that would cover maybe some flaws or expose some new ideas and offer some solutions... to see it 4 days later in the beta branch. You guys are the best devs for that reason. It just bothers us personally when something is wrong and we agree that it's wrong. Both Anthony and I have QA backgrounds so there's strong sympathy for outstanding issues. What was the design process like for the synergies between relics and cards? Fun! Honestly my favorite part of game dev. We had a distinct advantage of being the ones to implement it on a technical level AND the ones to design it. While messing with code I felt like it was possible to see a humongous matrix of possibilities (though some of them would make no sense). At first it was generic relics (max HP+) and when we gradually tried more things out, we would playtest and cut out boring stuff and add more of the good stuff :). Whenever we introduced new keywords or concepts for a class, it was fun to test out what kind of content would be good for ALL classes or that specific class and oddly enough, relics and power were very much interchangeable. Also, it was pretty common to just dump out a bunch of potential ideas. There's like an "Ideas Doc" with hundreds (thousands?) of enemy, event, relic, and card ideas where we dump ideas into and then discuss together. What are you most exited to add to the game outside of QOL updates? While we don't have concrete ideas on how to mitigate or expand upon this content just yet, there'll be experimenting and we definitely want to one up expectations. Tackling tough design problems like this are most exciting I'd say. What are your favourite concepts/designs that didn't make it into the game (and you don't expect to add later)? I was really stubborn about having this meta-boss that dealt 1 damage per second to the player. There was a lot of raging, it was cut, I cried. Does the game read how many cards say generate shivs and determine your if act 3 boss is going to be time lady every. single. time? What design choice (or limitation) do you think the player base most consistently misunderstands/fails to appreciate? Hey guys! Absolutely love the game and congratulations on the official release! Working in a professional work environment after college helped me learn a lot about current tech, best practices, and generally communicating well with others. These aren't skills that can be learned easily in a school environment. A lot of people also realize they aren't able to work alone at home, so working with a team and even non-game related things can help you really understand what you want to do. Learn as much as you can from your failures! This is our 3rd released game (and we've prototyped more). Where did the initial inspiration for STS come from? If you were to perform in the Super Bowl Halftime Show, what artist would you perform with? What's you guys' experience with Ragnarok Online? I grew up with RO and it's amazing to see a reference like the Dead Branch in a modern game. I'd love to hear a story about the game! Original, Private Servers, Modded Servers, all of it yo. On top of this, like 5 years afterwards- a bunch of my roommates and I decided to just pick up RO again out of nostalgia. I had fond memories of the punchy SFX of the main gauche and crit assassins. After browsing through a TON of items in the RO database for misc relic object ideas it hit me: "Dead Branch". Such an iconic and wonderful item. Had to have it in there! Who handled the lore, and what were some inspirations for it? Oh hey, I did most of the lore-y stuff and writing. We actually started off with a spire/tower just so it wasn't a dungeon (we go UP, not DOWN). The lore actually came after the atmosphere/feel of the acts. I really wanted to go from generic dungeon -> city that contained politics and hierarchies -> something dangerous/bizarre- an area where folks from the city wouldn't dare go. Going up meant progressing for everyone in this world so birds would naturally be an object of worship/ritual. Inspirations for specific enemies: The Guardian: We wanted automatons defending the Spire, and so I designed this magical robot-type to guard the first area. The reason why it's made of many pieces- was because we wanted the concept of re-climbing the Spire over and over, so the Guardian would never truly die. Just break apart... and come back together. That's why it's the first ever boss! Time Eater: What I imagined the lighthouse keeper to be like from Area X (the book). Slimes: You need slimes, that's how you know the game doesn't take place on Earth. Earth is boring. I mean it's technically an AMA but this is going too far. Personally, regardless of balance as given by more general statistics of the playerbase, do you find any of the classes much more or less difficult to win with than the other(s)? I find it difficult to win with the Ironclad sometimes. I unnecessarily increase Strength or attempt Searing Blow+9 too often. Does the Caw Caw mask from the Mask salesman do anything beside Caw Caw? I feel like there's a secret to it like the golden idol. I wish. May just have to inject more secret into the game. We'll secretly activate your desk mic and if it recognizes that you actually saw caw caw in person, you'll get a buff. Hey guys, love the game! I love the concept of searing blow, but how come there aren’t any other cards that have multiple upgrades? About how many character ideas do you guys have in mind? One of our earliest mechanics was upgrading! This would just increase a value on the card and it would be allowed indefinitely. Immediately, we threw that out because the strategy was simply: Acquire good card- just upgrade that card. This wasn't deckbuilding! Anyway, we reduced it to 1 upgrade. And then one day I got fed up with the inflexibility and decided each card needs a unique upgrade. We then spent 8 straight hours creating a unique upgrade for every single card that was available at the time. Design's fun. Lots of character ideas, haven't done much vetting tho. I don't actually have a question, but I wanted to say thank you for an unexpectedly great game. I guess I'll add: Is it possible to build a catapult/trebuchet that could safely launch a human high enough in the air for them to deploy a parachute and return to earth unharmed? I'll have to look this up later. Hi! Love your game, have spend by far the most of my playtime in 2018 into Slay the Spire. The continuous updates made every week worth the wait. I wanted to ask how long do you plan to release more updates for the game. Also will there be any paid DLCs? I'd gladly pay for more content! Honestly, unsure. We worked quite a lot during Early Access for all of the folks who bought our game and supported us and we're still grateful and we want to do more! But 3 years of constant development where there's no "backup guy" has been pretty stressful at times. Though we're still coordinating port stuff- we're gonna take it easy for a bit. I think we'll release more stuff this year, but that is just my perspective. Was there any achievements currently in game you were close to removing/changing due to how difficult the conditions were? The first few achievements we made were to steer players into trying new builds! These were like, Gain X Strength, reach a ridiculous amount of Block, kill a boss in 1 turn. For those who looked at the achievements, this was like a secret code explaining that yes, the gameplay will get ludicrous sometimes. Some of the harder ones like the Single Relic, Minimalist, or Common Sense were based on streamers who beat the game by creating challenges for themselves! They are definitely VERY hard to acquire but the game is for masochists anyway. They complain... but they secretly like it (or do they? I'm not a psychologist. What's your approach to balancing the game? A combination of metrics, feedback, and playing! Just saying "metrics" is a bit shallow. We get a lot more data than how "strong" a card is. Mainly a balance between popularity (perceived value) vs winrate (actual value) and then there are are deceptive winrate cards. Example: Cards that players choose not to take because it simply won't work for them. Hard synergies. If you visit https://spirelogs.com/ , they utilize our same run files so they've taken a peek into what we're interested in learning from our player's runs :). We also do things like comparing datasets before/after, etc etc. A lot of our content has different goals. Some are to allow interesting gameplay but on a rare occasion (Prismatic Shard), others are more like conversation starters and can be quite divisive (Runic Dome), and some of them are for salvaging dead runs (Pandora's Box). Who are your favorite StS Twitch streamers? I have a special place for those who played early (since we watched far more streams then). The Champ. Purposefully drawing armor for a bulky leg-day skipping warrior? Fine work, Casey. Fine work. How do you balance depth and accessibility (especially for new players)? Do you think the complexity of the game ends up scaring a lot of players off before they really come to grips with it? Have you sacrificed depth/complexity to avoid this becoming a bigger problem? Not sure if there's an easy answer for this one. We got the game in front of many many people and greatly adjusted things like UI, Power descriptions, speed of certain animations, so many little things. In terms of depth, hmm- we definitely knew that the Ironclad's mechanics would be simple to pick up for any card game person. But look, the Silent unlocks after playing just once- and you haven't even seen all the Ironclad cards yet! That was kind of our way of saying that the rabbit hole goes deeper. We’ve heard things about a Switch port but are iPhone and Android phone ports being planned to be released this year as well? Have you ever considered an alternate harder act 2 where after killing the first boss, you could choose between the city and a more risky floor with different unqiue loot to it? We have considered it! (and a lot of other things, too) Mainly because we're huge fans of Spelunky and its alternative acts. This mechanic might be a "win-more or just lose" for a game like ours though. Would definitely need to figure out several design problems that action games don't face. After getting out of EA, is this game basically finished? Will the team keep updating this game or entirely move on to next project? Either way, you guys did a fantastic job! Any thoughts on the Steamworld Card PG announced today? Kinda seems like they were quite.. inspired by StS. Any thoughts about adding a non rogue quest to StS? Don't think we can create a non-rogue version of StS as that would muddle the core concept (two games in one?!) and it would kind of be like starting over, really. It would need to be a different game. SteamWorld Card PG... well, that's an RPG with card mechanics? I don't mind if some UI things or merchanics are inspired by us at all! Unfortunately, a lot of the "similar" games have identical content and card values? We spent several months adjusting numbers, figuring out fun mechanics, and creating an easy to understand UI. I wish some of these developers would be more creative :(. Love your game it quickly became my second most played roguelike game, and it scratches my card game itch at the same time. Whether it be character, boss, enemy, or card(including the beta art) what is your favorite piece of art in the game? Pretty sure the cultist is my magnum opus. Do you guys plan on adding new bosses and enemies to the first 3 floors? I'm curious, how does the balancing process go with this game?